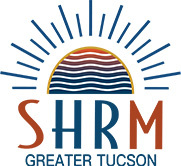 SHRM-GT continues its commitment recognizing and celebrating the innovative achievements of teams, organizations and individuals in Southern Arizona. Innovations include the use of resources, effort and significant impact relative to the size of the organization in the areas of Technology/Process Improvement, Diversity & Inclusion, Community Impact and Leadership. A panel of Human Resources experts evaluates the accomplishments and awards are given for outstanding contributions in Human Resources Management. * 2. Are you nominating a Company or Individual? Developed and implemented a process, system or tool that enhanced or changed the organizational culture or enhanced an HR activity. Added value to the company, strengthened community relationships or benefited the employees’ quality of life and work-life in the area of Diversity and Inclusion. Demonstrated an exceptional commitment to community volunteerism, made a positive impact or acted as a role model within the community to create a positive change through HR efforts as company or individual. DONE! THANK YOU FOR YOUR NOMINATION.